FoodThoughtsOfaChefWannabe: CELBRATE 2,000 Fans Giveaway! Time to uncork the wine, champagne, sparking cider or whatever you want to celebrate with! I am bringing the glasses, the charms and a fancy stopper!! 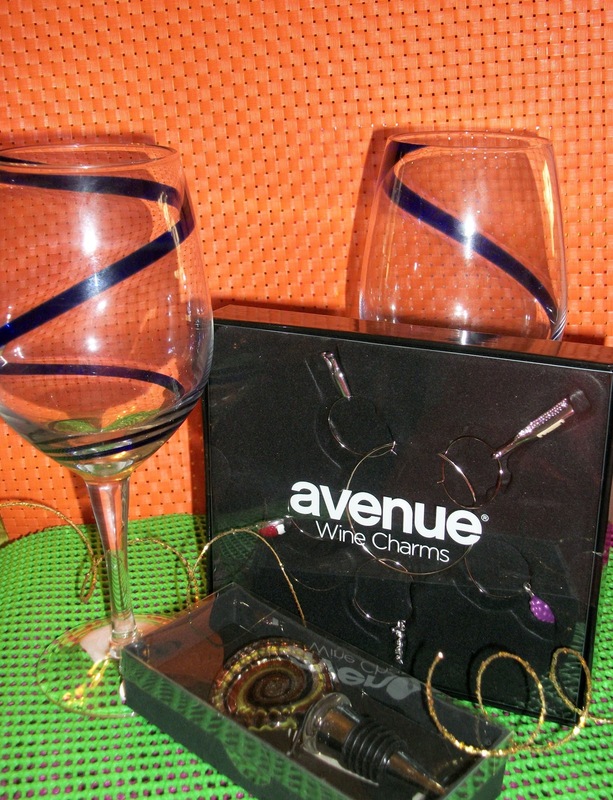 In this giveaway, you will get 2 cobalt blue swirled wine glasses, a set of 5 wine glass charms and a great stopper! Everything but the beverage to CELEBRATE! Thank you all so much. I consider you all my friends, and chefwannabe family. You make this blog so fun and you make my life a better place, and for that, I am grateful and blessed. Here is how to enter this giveaway, like before you have 5 ways to enter! 4. Comment under this blog what your favorite celebratory beverage is! 5. Comment under this link on Facebook what you like to drink when you celebrate! That is 5 ways to win!! This giveaway will close at 6pm on Sunday April 1st. I will post the winner shortly thereafter and you will have 48 hours to email me your mailing information @ ftchefwannabe@hotmail.com. Good Luck and thank you all from the bottom of my heart for helping chefwannabe continue to grow, sharing great food, a few laughs, some good music along with wonderful friendship!! I love an nice glass of a sweet red or a moscato, or a riesling. I'm a whino but love me some margaritas, or a good beer as well!! Congrats my sweet on 2,000!!! I like sweet wines. Galena IL Late Hervest Riesling is wonderful!! If I am out celebrating then shots followed by something fruity. If I am at home with my besties it is either a few glasses of White zin, riesling or moscato :-) Congrats on 2,000. You go girl!!!! I haven't drank wine for a very long time, but I prefer the sweeter ones like riesling. We occasionally drink mead from a local meadery as well. Love strawberry dacs and orange pop with southern comfort. love my strawberry dacs and orange pop with southern comfort. I love mimosas for a Sunday brunch! My favourite celebratory beverage is something called a Red Shoe martini - so amazing! Love your blog :-) I also have a giveaway happening this week with a nice prize package. Stop by and check it out!! Used to be a mojito. Now a cucumber lime gin gimlet.